Teachers are invaluable facets of childhood development, mentors, and leaders. And they need lots of new graduates to fill in their ranks, so if you think you might have what it takes to shape young (and not-so-young minds), check out the many varied teaching specialties below! Education of the deaf/hearing impaired prepares students to work with hearing-impaired children and adults. Hospitals, rehabilitation centers, and schools for the deaf are the usual settings for this work with most time spent teaching signing, lip reading, and other communication skills. In addition, teachers of the deaf may be responsible for teaching life skills, such as cooking or personal hygiene, as well as academic subjects such as mathematics or geography. This concentration can be found in the education department or the speech-language pathology or audiology programs at a given college. The plan of study begins with a core curriculum of liberal arts courses, including English, history, and the performing arts, as well as electives in signing and introduction to audiology. At the upper-division level, course work focuses on techniques for diagnosis, treatment, and remediation of clients. Experience working with actual clients is emphasized through extensive clinical practice under the supervision of a trained professional or faculty member. Many students go on to pursue graduate work in this field for further training. This field prepares students to work with children who need to cope with a learning disability or disabilities. It requires an extensive understanding of the process of cognition and a natural sensitivity for working with young people. Learning disabilities specialists either work in a school, for a school district or group of schools, or on their own in consulting private practices. This major will be locates in the school of education and is to be distinguished from the special education major, which concentrates on working with students with mental retardation or physical disabilities. Students will take the prerequisites expected for all education majors. Students will start with a broad scope of the field: the problem of defining learning disabilities, the diverse characteristics of learning disabilities, manifestations at different ages and stages of life, the prevalence of learning disabled in schools, and the multidisciplinary nature of the field. Then, students will delve into historical perspectives, definitions, theories, medical aspects, characteristics, and service delivery models. Assessment and clinical placements will be a key requirement of the program. Students will be led through a course of study that will qualify them for certification in the home state of the university or college. This major is the study of the skills needed to instruct children in a range of grades which may include pre-school through fifth or sixth grade. Elementary/early childhood education encompasses the psychology of youth development, as well as preparation to teach several academic disciplines and aspects of personal health, hygiene, and grooming. 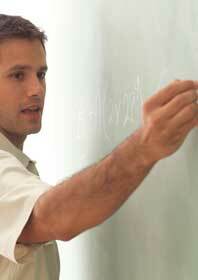 All programs contain a teaching certification component. The plan of study begins with a liberal arts core curriculum, together with electives in developmental psychology, children’s literature, and understanding childhood behavior. Upper-division course work focuses on methods of teaching academic subjects, use of media in instruction, abnormal child development, diagnosis of child behavior, and student teaching experience under faculty supervision. Additional seminars in special topics, independent research projects, or directed study may be required. Students will focus on a limited range of ages as their studies progress (i.e. pre-school, pre-kindergarten, grades 3 and 4, etc.). This is the study, viewed from a teaching perspective, of the family as an interpersonal and economic unit and the qualities and characteristics it requires to survive and prosper. Topics include nutrition and food preparation, textiles and clothing construction, and home management. This is an interdisciplinary major. Home economics prepares the student not only for teaching in elementary or secondary schools, but also for potential employment with home extension centers or social service agencies concerned with home and family management. The plan of study in the first two years may include a general education core with elective focus on social science courses such as psychology and sociology. Upper-division work includes these specialty areas: food and nutrition, clothing and decoration, and family management and hygiene. Methods courses in education, supervised student teaching, and some independent project work complete the curriculum; program quality varies widely and may call for considerable investigation to find a strong choice. This is the study of sport, athletics, exercise, and fitness. Historically, physical education has prepared students to be teachers of physical education in schools. Now such programs have broadened the opportunities to include instruction in health and nutrition, aerobics and exercise science, as well as rehabilitation therapy or physical therapy. A provisional teaching certificate usually accompanies the degree in physical education; the range of possible career options that is currently available with this major bears careful researching. The plan of study involves a core curriculum of academic courses, possibly including general chemistry or general physics, with physical education electives in the lower division. Upper-division work highlights skills in a number of sports, courses in teaching at the elementary or secondary school levels, course work in nutrition, anatomy of movement, and techniques of coaching, a student teaching experience, and independent study of current issues in physical education. Students interested in teaching physical education in schools should make sure to meet teaching certificate requirements. The program in secondary education leads to a career in teaching in grades seven through twelve. Subject-matter competency is the first requirement, and students must be accepted into an academic department such as English, mathematics, science, or foreign language before applying to the education department for enrollment in the certification program. Acceptance is not automatic; a minimum grade point average is usually required, as well as a personal interview in the education department and, depending upon local regulations, the passing of some qualifying tests. Students must also take the necessary course work and field work to qualify for teacher certification in the state where they intend to teach. Opportunities vary by school system, but jobs are available, most especially for teachers of foreign language, science, and mathematics. The plan of study begins with general education courses in the arts and sciences. Students also undertake work in the academic concentration during this time, as well as elective course work. At the upper-division level, continued academic study is supplemented with courses in secondary education including foundations, methods, and other courses needed for certification and student-teaching component. Depending upon the academic major being pursued, a B.A. or B.S. degree is awarded. Special education is an umbrella term that includes education of emotionally disturbed, learning disabled, physically handicapped, educable mentally retarded, and individuals with more than one disability. The program qualifies one to each in public schools, either elementary or secondary, as well as in private, residential settings and state institutions. Interested students should examine undergraduate programs carefully, as they vary widely in the type of degree awarded. State teacher certification is required to be a special education teacher. This is both a demanding and immensely rewarding profession. Effective special needs educators are always in demand. The plan of study emphasizes a core curriculum in arts and sciences at the lower-division level, with elective courses in education and psychology. Upper-division programs give students the opportunity to focus on specific disabilities, their causes, diagnosis, treatment, and remediation. Enabling the handicapped individual to manage his or her life and returning that person to the least restrictive environment possible are the goals. Independent study, research, and a student teaching experience completes the program. Industrial arts education, or technology education, is the study of the tools, processes, devices, and materials that comprise today’s technological systems. As an education major, this field prepares students to teach industrial arts courses in public or private elementary and secondary schools, vocational/technical centers, or proprietary technical schools. The school-based industrial arts/technology teacher may teach courses across the full range of industrial arts specialties including auto, wood, drawing, power, electricity, metals, technical drawing, architectural drafting, and computer-aided technologies; the vocational/technical teacher, on the other hand, may specialize in one are and instruct that exclusively. The plan of study begins with a core curriculum that includes general chemistry and/or general physics. Introductory industrial arts courses in each of the areas cited in the description above supplement lower-division work. In the upper division, advanced courses in woodworking, graphic design, electronics, and automotive technology will culminate in independent study projects and/or student teaching at the elementary or secondary levels.